"Many Faces, One Community" is Midway Village Museum’s largest ever exhibition. 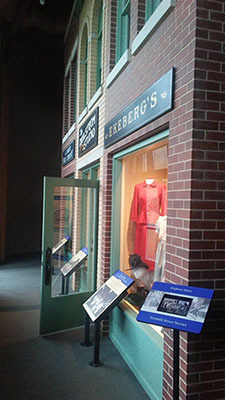 This gallery depicts the history of immigration to Rockford and how our community developed through the perseverance of immigrants from many countries and cultures. The exhibit is "touch friendly" and features the stories of immigrants to Rockford. Visitors arrive through the train depot, stroll along 7th and South Main Streets, visit a circa 1900 immigrant home, and apply for a job at the Swedish furniture factory. Become engaged by the stories of our ancestors who traveled to America seeking a better life. The exhibit gallery, nearly 6,000 square feet, transports visitors back in time, as if they were new immigrants to Rockford. Learn why immigrants made Rockford their home and how they contributed to the future. 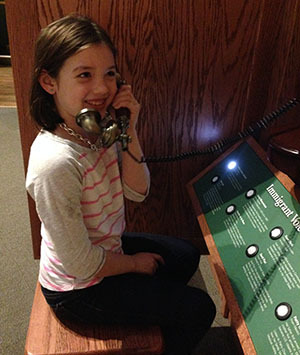 Gallery elements include hands-on activities and sounds of the past. Entrance to the "Many Faces, One Community" exhibit is included in the General Admission. 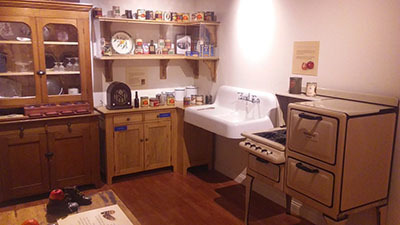 Engage in the rich history of Rockford at Midway Village Museum. *Our Victorian Village with live tours available (guided by reenactors) is now open. See Hours of Operation. Opt-out anytime! We won't share your email address. © Copyright 2018. Powered by Net-Consultant.com.